Employees are bringing their mobile devices to the workplace, and employers are increasingly motivated to support them in doing so. Is it really cheaper? 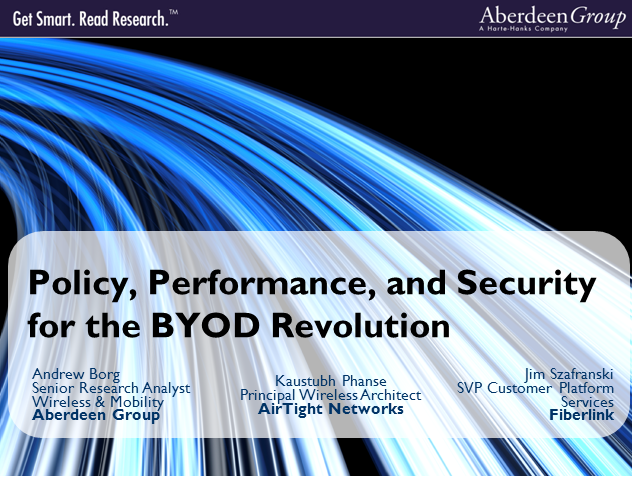 What risks are inherent in the Bring Your Own Device (BYOD) approach, and how can organizations cost-effectively manage the wide variety of smartphones and tablets that employees are using? What are the implications for the performance and security of the corporate wireless networks that make it all possible? Panelist 2: Jim Szafranski, SVP Customer Platform Services, Fiberlink Comm.